’The course wasreally good, and I enjoyed it. you under pressure at times but in a good way. the training would hopefully kick in. ​This is one of our most liveliest courses!! ‘Wish I’d done it sooner! ​Recently Jen from FAB took an Emergency First Aid at Work course. 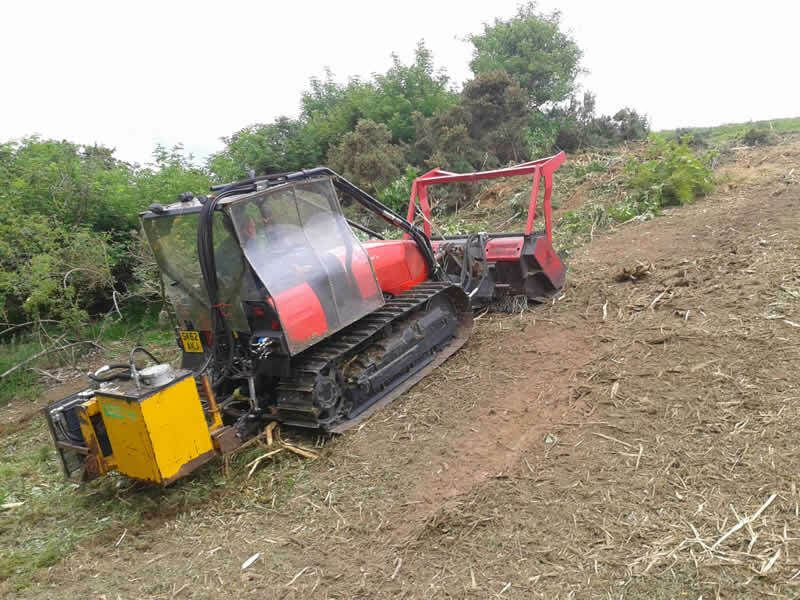 ​‘When we moved from Rawburn, a high hill farm, to Roxburgh Mains, mainly an arable farm, in 1993, we had a dilemma of whether to tool up for cropping, employ contractors or use the Borders Machinery Ring, which hadn’t been long in existence. Economics to the tune of £12,000 per annum dictated that I used ‘the ring’. It was one of the best decisions I ever made, particularly as our own inclination was to four legs over four wheels. Apart from contracting, we now get fuel, electricity, fertiliser and casual labour through ‘the ring’. I find it very beneficial to work with BMR. I work all over Britain and with one phone call to BMR my fuel, chemical or grass seed is delivered anywhere in the country at competitive prices the following day. This free up a lot of time trying to source local suppliers and lets me get on with the job in hand. I am a great believer in machinery rings in general and BMR in particular. 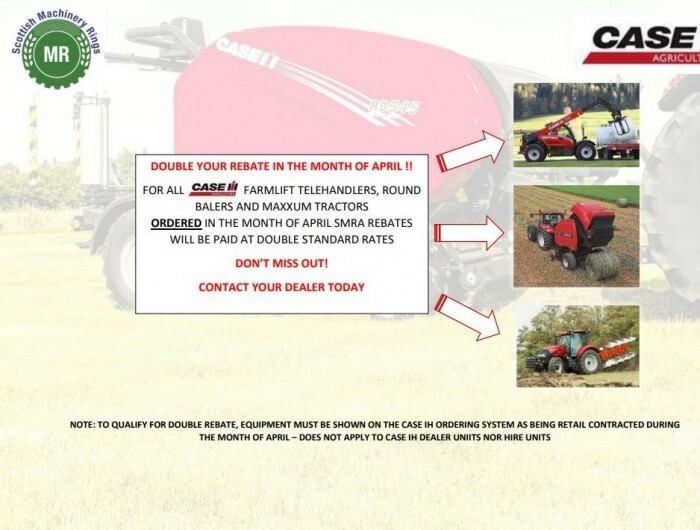 Be a demander or a supplier ( I have always seen myself as a satisfied user) the concept introduces flexibility and significant cost saving opportunities to the farming business. For me, the best thing is the ability, when other plans have not worked out or the weather has changed, to lift the phone and ask for a man and/or machine to be with you at short notice. Almost always someone is available. By sourcing my labour through BMR I save time on paperwork letting me get on with quoting for new jobs and completing the work we have on the books. I am constantly looking at lowering input costs of which drier gas is significant. Through BMR we changed our supplier and saved 10p/litre. The service was better than from our previous supplier and we saved over £800 in the first season. Borders Machinery Ring (BMR), the first Ring to be formed in the UK in February 1987 by 23 farmers and contractors. Currently, there are over 1000 Full, Labour and Private members. Turnover is around £7 million. There are now 9 rings in Scotland and 8 in England and Wales. Our fellow machinery ring Ringlink up in North East Scotland has over the last 5 years pioneered a Land-Based Internship Programme to address the difficulties of recruiting young people into the rural sector. 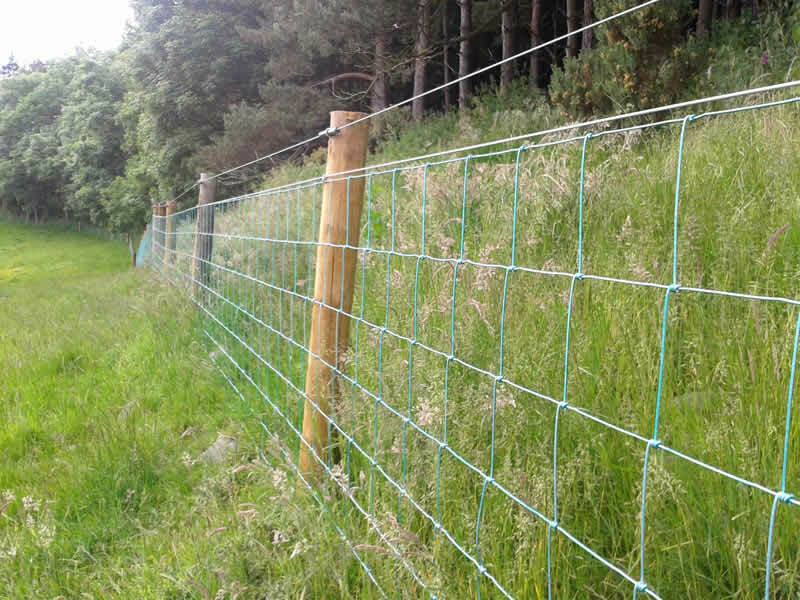 The work-based scheme is run in collaboration with SRUC over 26 weeks including a 3 week residential induction which involves a range of activities and certified training. Farmer mentors play a crucial but rewarding role on the placement with a huge responsibility not only providing the young person with practical knowledge but providing an environment to encourage a good work ethic as well as social and communication skills. For our training schedule, please visit the training page or contact BMR to check course availability. Offering City & Guilds Certificate of Competence in Transport of Animals for short & long journeys - Call the BMR officeto book. HAVE YOU TRIED OUR APP? Order fuel, submit jobs done, let us know you are looking for work, request copy invoices. Download from the App Store. 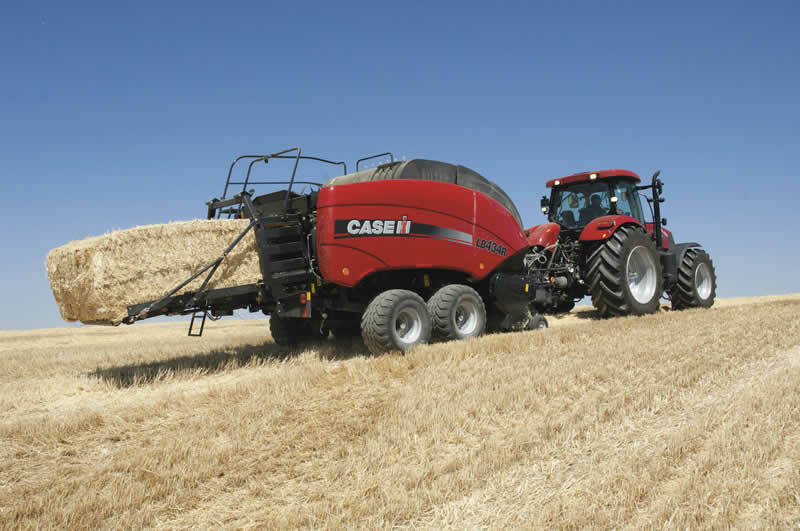 Make BMR your first call for any farm or rural business service! 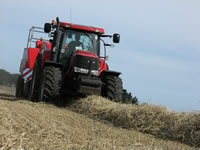 FERTILISER - Requirements - Contact BMR for a competitive quote. Delayed payment terms available. FORD VEHICLE DEAL- great deals available on all Ford vehicles including commercial vans. TOYOTA FLEET DEAL - Discounts on Toyota Hilux, Landcruiser, Rav 4 and many other cars across the range. Discounts also available on Mitsubishi, Nissan and other makes. Phone Sarah for further details. LIVESTOCK POSITIONS - Please see 'Situations Vacant' for posts or call BMR to register your availability for stock work. The BMR office is now at Leader House, Mill Road, Earlston, TD4 6DG. Meeting rooms for Hire-seating for up to 25 theatre style, or 12 at individual tables. BMR App now available! Please download from Apple or Google Play. Follow the instructions to set up for quick links. You can book your fuel quickly using the BMR App on your phone. 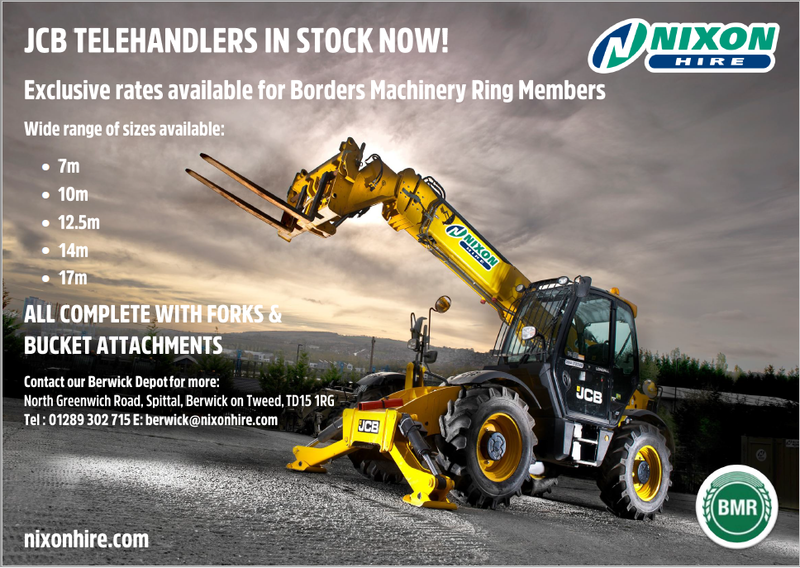 Nixon Hire is offering great hire deals exclusively through BMR on Telehandlers in sizes 5-17meters. Excavators also available 1.5t to 22t Call us for more info! Improve your Cash Flow - BMR carries out a weekly invoice run on behalf of members. Invoices are collected by Direct Debit and paid into your account by credit transfer on 28 days providing funds have been received from the demander.